Facebook has increasingly made VR an integral part of its platform, so today’s announcement isn’t a huge surprise: 360 degree photos are coming to your news feed. The update follows the introduction of 360-degree video in September, and the stills version will work pretty much the same way: either click and drag with your mouse, or move your phone to look around a scene. They will also be compatible with the Oculus Rift and Gear VR. The difference is that 360-degree stills are much easier for everyday consumers to shoot, as they don’t require anything beyond a regular smartphone. With the update, users will be able to upload flat panoramas, Google’s photospheres, or photos from a proper 360-degree camera. Google first tried to popularize 360-degree images with the introduction of Photospheres three years ago, but they never caught on much as they were inconvenient to share. Expect that to start changing now that Facebook supports the format. 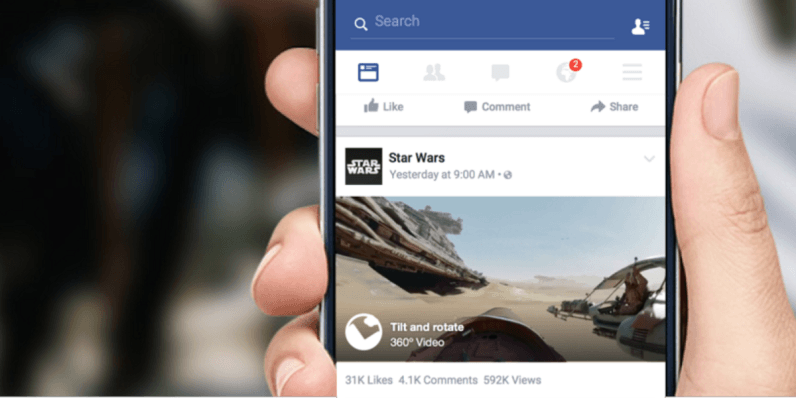 No word on an exact release date, but Facebook says 360-degree photos will be available on mobile and the Web in the coming weeks.